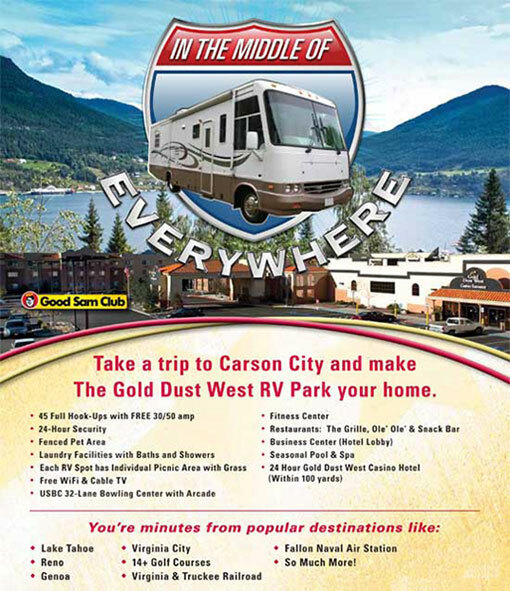 Just minutes from Lake Tahoe and historic Virginia City, the Gold Dust West Carson City Good Sam Approved RV Park is the perfect place to stop. 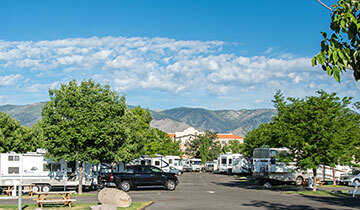 Enjoy all that Gold Dust West has to offer while staying in our full-service RV Park, which includes back-in and pull through spaces, and 30 and 50 amp hookups. During your visit, enjoy some of the area activities including golfing, fishing, skiing, hiking, biking, and much more! 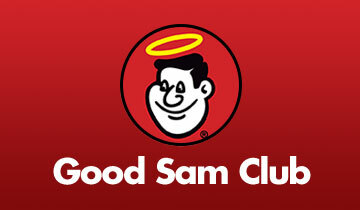 *10% discount with Good Sam membership.